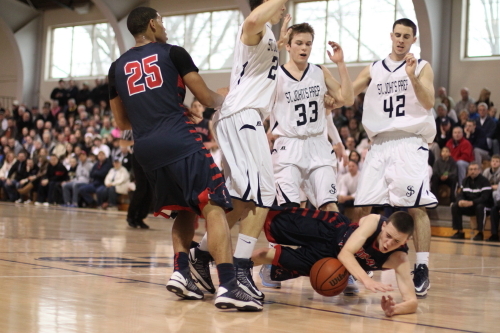 (Danvers) St. John’s Prep never trailed in this one. 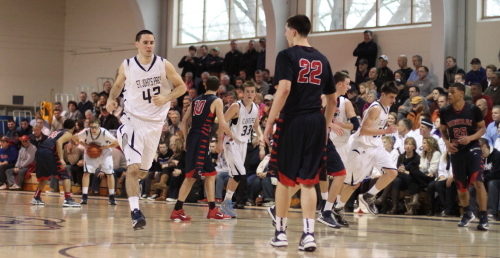 St. John’s Prep had a 14-point lead (46-32) in the third quarter and an 11-point lead (53-42) in the last quarter. 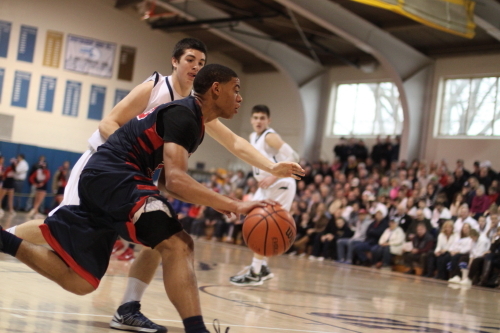 But that all being said, St. John’s had to hang on for dear life to defeat Central Catholic, 55-52, on Sunday afternoon before a full house at the Prep. After the Eagles (15-1) put that 53-42 lead in place with four minutes left in the game, the Raiders (13-3) ran off ten straight points. 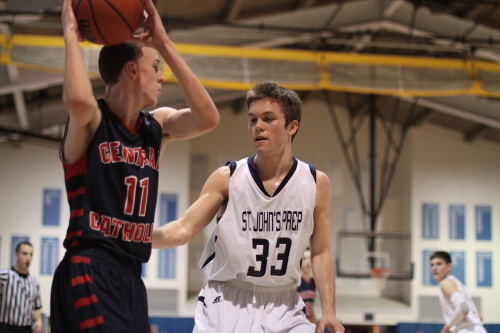 That streak of offense got Central Catholic to within a point (53-52) with thirty-eight seconds left. A St. John’s turnover (they had four in the quarter) followed (five second violation) and the Eagles miscue gave CC plenty of time (twenty-six seconds) to complete the comeback. But the Raiders didn’t get there. They turned the ball over on their next possession (Drex Costello steal) and Drex made a free throw. They recorded another turnover on their second possession (bad pass Nick Cambio) and Ben Judson made a free throw with less than a second left to finish the scoring. If St. John’s had lost this game it would have been because of poor foul shooting. The final quarter was a nightmare at the line for the Eagles. Granted, there was plenty of pressure, but when you make only two-of-seven free throws after you have an eleven-point lead with four minutes left, you’re asking for trouble. And to top it off, two of those misses were on the front end of one-and-one’s! The Eagles jumped on the Raiders right from the start with seven unanswered points (jumpers by Drex Costello and Josh Syska followed by a Tyler Dooley three) in the first 2 ½ minutes. Early in the second quarter, Central Catholic ran six straight (two layups Nick Cambio and two free throws Tyler Nelson) to pull within two (18-16). The Eagles came right back with six of their own on layups (Drex Costello, Max Butterbrodt, and Jake Burt off a steal) to get that eight-point lead back, 24-16. St. John’s had a 32-24 halftime edge. The Eagles pushed their advantage, in the third quarter, to 40-26 and later 46-32 before the Raiders rallied with six unanswered (two free throws Nick Cambio and two layups Tyler Nelson and Joel Berroa) to lower their deficit to eight (46-38) after three periods. St. John’s was back in the double-digit comfort zone, 53-42, in the final quarter with four minutes left before the Raiders made the run that nearly stole this one from the Eagles. 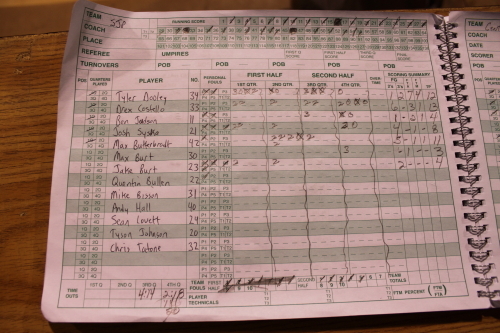 Joel Berroa (18 points) and Nick Cambio (14 points) led the CC scorers. 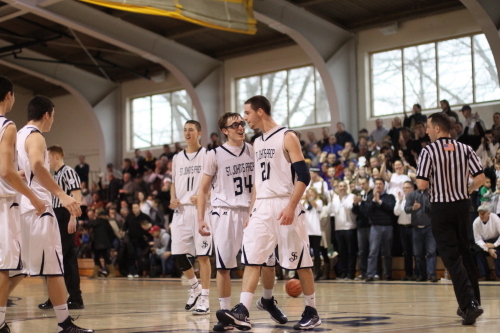 Drex Costello (13 points) and Tyler Dooley were the top point-getters for the Eagles. 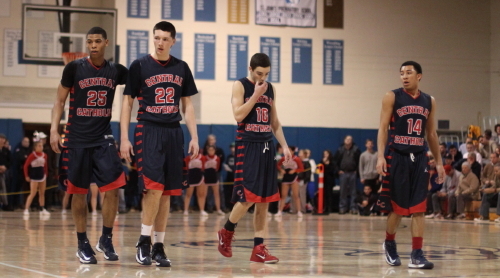 Prep seniors Drex Costello, Josh Syska, and Tyler Dooley were honored before the game. That trio had plenty to do with the Eagles’ win. A big play by Central Catholic late in the game was a shot block by Nick Cambio of Max Burt’s layup attempt in the last minute. 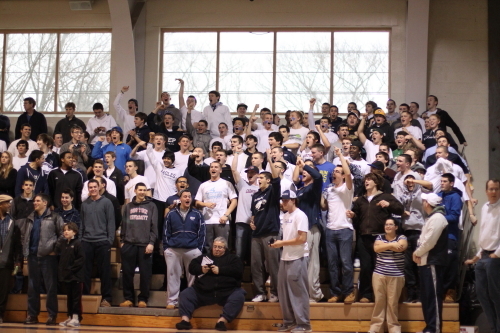 The two teams will meet again at Central Catholic on February 17th. That could well be worth seeing! Despite the loss, Coach Rick Nault (seventh year) has a remarkable win/loss record of 149-19. The Eagles are lacking the Pat Connaughton-type big stars and so hadn’t gathered much respect before this game. This win should change all that. 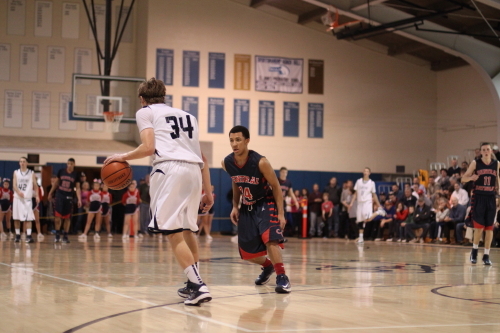 A great matchup to watch was between the two point guards – Tyler Dooley and Jamahl Lopez. Contact was plentiful! 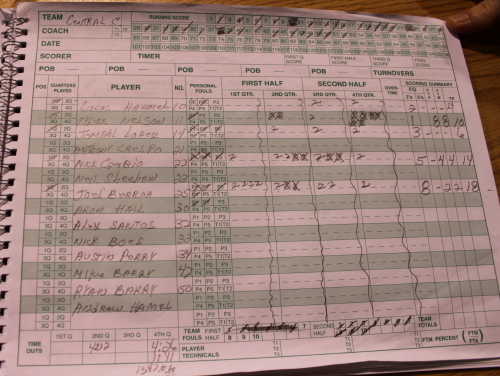 CC was fourteen-for-fourteen from the foul line. 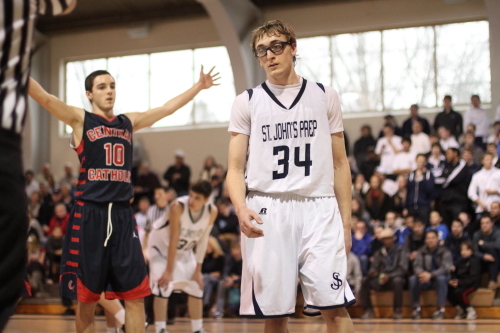 Max Butterbrodt had a nine-point second quarter for St. John’s. 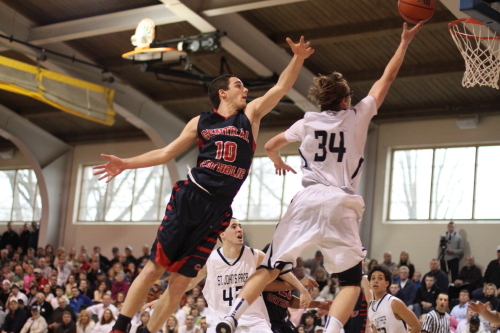 Central Catholic was missing 6-8 Andrew Hamel.